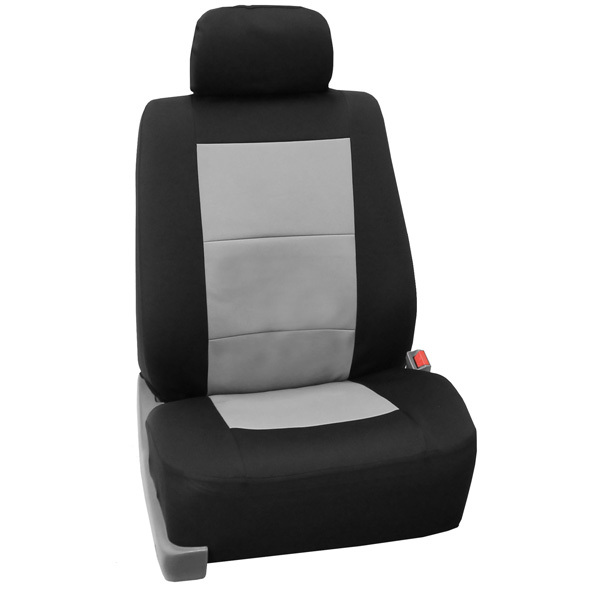 Made of EVA foam, these seat covers are lightweight, waterproof, and easy to clean. 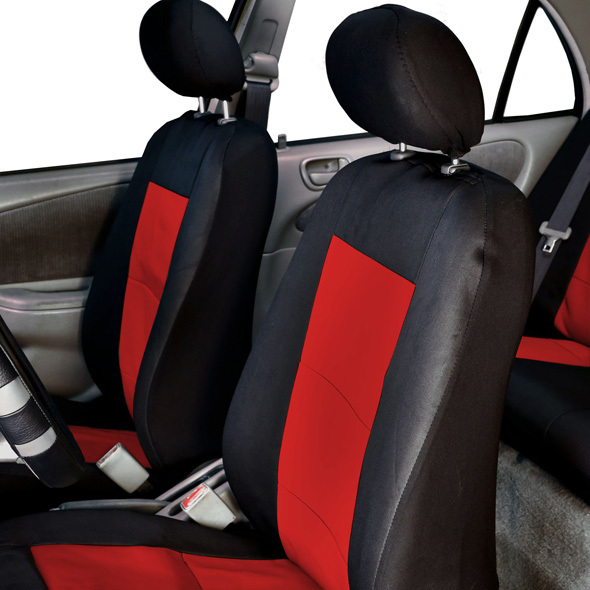 Spills don’t stand a chance, keeping your original upholstery dry and unscathed. 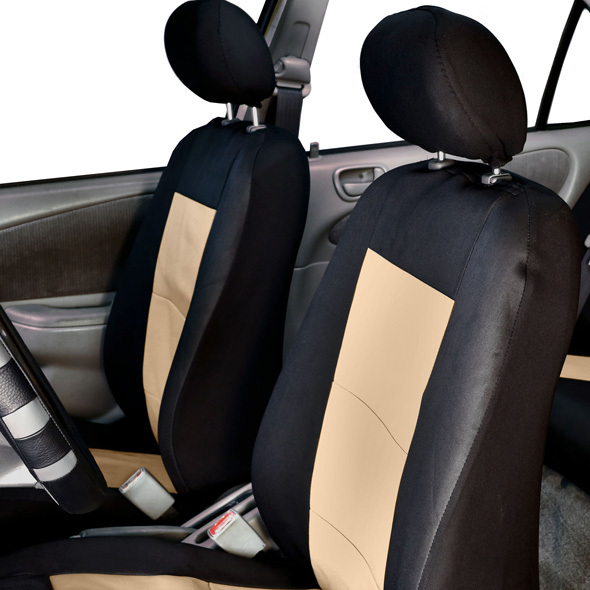 EVA foam provied superior protection against any disasters, big or small, and is virtually odorless, making it a brilliant solution for preserving your original seats. 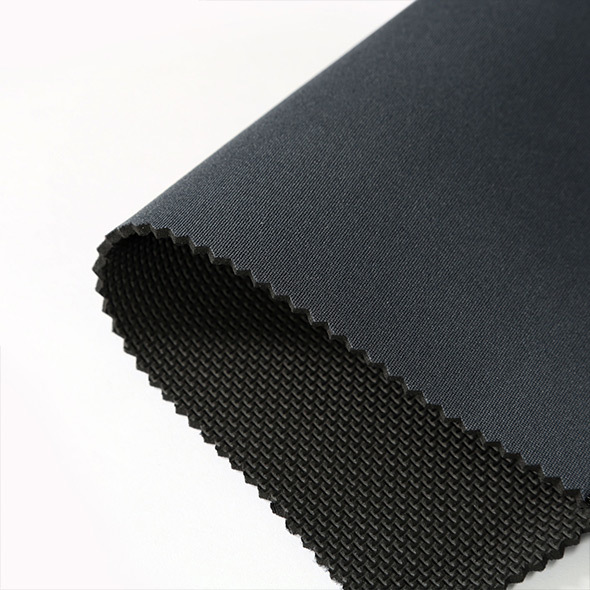 Waterproof EVA Foam Fabric / Polyester .Our EVA foam fabric is waterproof, breathable, and durable, providing your seats with the ultimate protection while keeping you comfy. 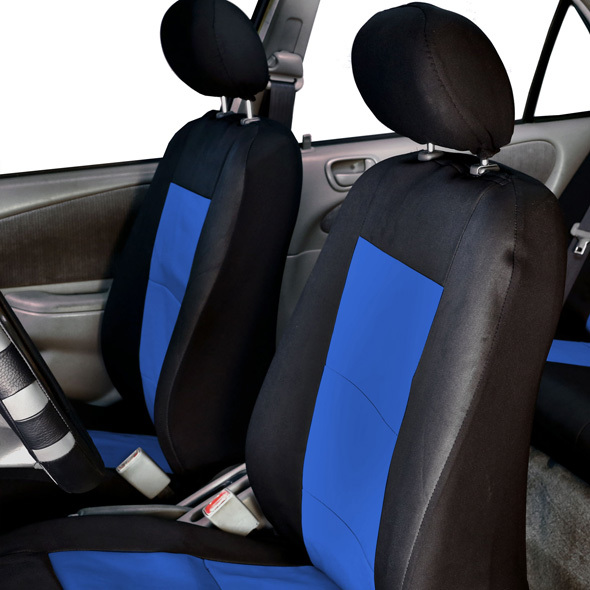 Waterproof, sturdy eva foam fabric offers long lasting protection Special stitching technique enables side airbag deployment - officially tested! Thank you for your inquiry. Yes! I do think these will hold up against your pet. This item is actually featured under our “Pet Protectors” section. 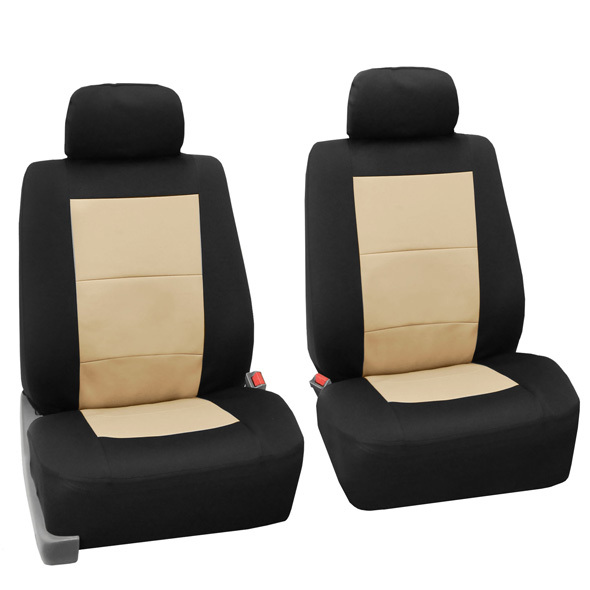 It is selected as one of the best items for pets. Please consider other features when purchasing. This item is not compatible with built-in seat belts. 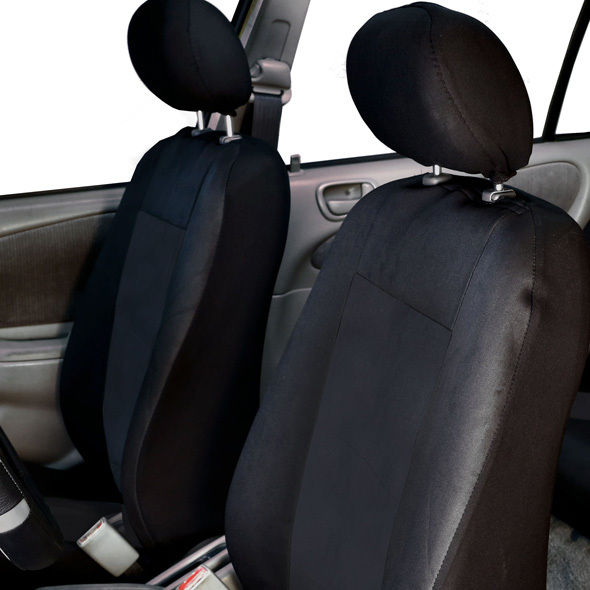 Also, it does require removable head rests. Enjoy! Will these fit a 2016 Jeep Wrangler?? Thank you for contacting. Yes this will fit your vehicle. 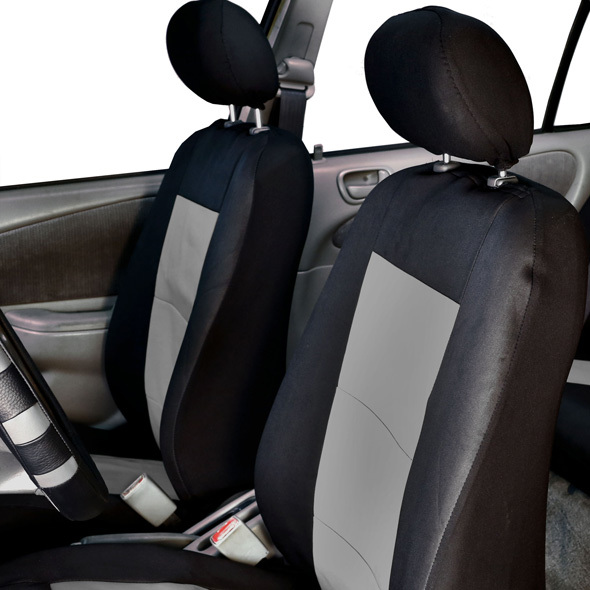 However please keep in mind that our seat covers are universal fit for a wide range of vehicles, not custom made for a particular model. 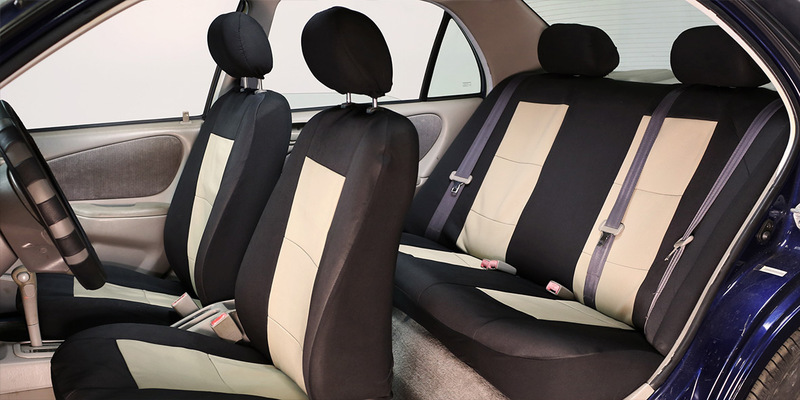 If all your vehicle’s front and rear headrests are detachable and the seat belts are not integrated to the seat, our items will fit nicely with the proper installation. I am sorry for the inconvenience but we do not sell the middle console seat cover. It was a gift- very well-received. They are very happy w it & I installed. Pretty easy to put on- nice feel.